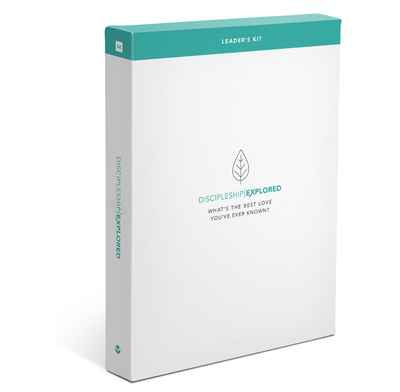 Beautifully designed Leader's Kit with everything you need to run this popular revised and updated discipleship course. The Leader's Kit contains a comprehensive Leader's Handbook, a Member's Handbook, a DVD and a digital code, so it's easy to download the films onto electronic devices. 7.6" x 9.5" x 1"
Discipleship Explored has always been a valuable tool for helping Christians understand what it means to follow Christ. But with this new series of films, along with the accompanying leader’s and guest Handbooks, it reaches another level of excellence. The films are a pleasure to watch; Thabiti Anyabwile conveys the meaning of Philippians as he reads it for us, section by section; and Barry Cooper excels as an engaging guide to help us understand Paul’s Letter to the Philippians and apply it to our lives today. And all this comes with a wonderfully international flavor to both the locations used and the Christians who make cameo appearances. If, after using Discipleship Explored, you don’t love Philippians and want to grow more like Christ, you may be spiritually brain dead. The only downside is that it may make you impatient for this team to do the rest of the New Testament! If you’re looking for a short series to use with new believers or Christians wanting to think through their purpose, this wonderful, video-based resource might do the trick.